3 Jahra Pools Reserve, Kuwait. Three Pale Martins still present!. 1 ad., Jahra Pools Reserve, Kuwait. One Grey-throated Martin still present! ID now confirmed!. The adult possible Grey-throated Martin still present!. Pale Martin - Riparia diluta. 2nd for WP and Kuwait!. Possible Grey-throated Martin seen before noon in JPR!. Putative ASIAN HOUSE MARTIN (Delichon dasypus) still present today, would be 1st for WP! Now with better pics. Putative ASIAN HOUSE MARTIN (Delichon dasypus), would be 1st for WP! Better pictures will follow. .
Pobable KAMTSCHATKA LEAF WARBLER, trapped, ringed and dna taken!. ARABIAN GOLDEN SPARROW, first for Israël if accepted, origin unknown!. Chinese Pond Heron (Ardeola bacchus), origin unknown. African Grey Woodpecker! Occurs within WP boundaries..
MEGA: Putative VEGA GULL found by Killian Mullarney, ID yet to be confirmed. GOLDEN NIGHTJAR - 1st for the WP observed and later found dead between Dakhla and Aousserd. . 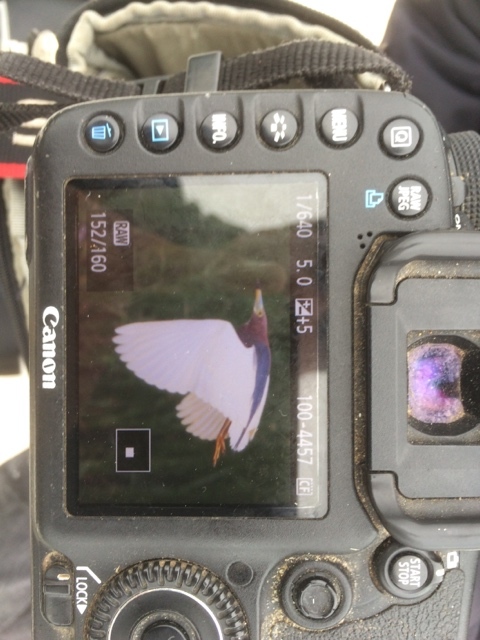 Presumed Chinese Pond Heron of unknown origin. Chinese Pond Heron of unknown origin still there..
Possible Chinese Pond Heron. Category? At least five previous records in the WP have all been placed in category D or E.
1 Gleb Jdiane, Western Sahara, Marokko. White-throated Bee-eater (Merops albicollis) present from 5/12/2013; first record for WP. Beaudouin's Snake Eagle (Circaetus beaudouini). Second day. Beaudouin's Snake Eagle (Circaetus beaudouini). YELLOW BITTERN July 2013 (and July 2012). Northern Carmine Bee-eater (Merops nubicus); still present. 1 Moorlinse Buch, Berlin (52°37'58.19 N / 13°29'15.80 E), Tyskland. Northern Carmine Bee-eater (Merops nubicus); unknown origin; seen until late evening. WAHLBERG'S EAGLE, 1st for the WP. PALE-LEGGED LEAF WARBLER (Phylloscopus tenellipes) photographed on 22/10. first for the Western Palearctic. 1 adult, Annagh Head, County Mayo, Irland. BLACK SKIMMER flew south at 10am. 1 male (2cy? ), St-Rémy-les-Chevreuses (78), Frankrig. House Finch - of unknown origin, unringed. 1 1cy, Corvo, Azores, Acorerne. BLUE GROSBEAK by the power station - seen by two observers but no further sign. MUGIMAKI FLYCATCHER. First for Italy and WP? There is a Cat D record from UK at Stone Creek, Humberside 16-17.11.1991 and an record from Treviso, Italy, on 29.10.1957. The first WP record might be an adult male Neftekamsk, Russia, on 2.8.2007 . 1 El Algarrobo, Algeciras, Cádiz, Spanien. Yesterday and today till 7am in birder's garden (of unknown origin, unringed). African Mourning Dove (Streptopelia decipiens) - Present since 29/12/2010. African Mourning Dove (Streptopelia decipiens) First 2 for the WP. HOUSE FINCH - singing male yellow variant (of unknown origin).